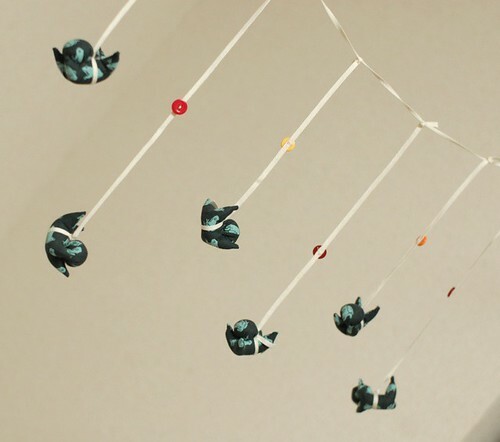 Congrats on some lovely mobiles. The first one is really cute, but I am in love with the second one. Thanks for sharing. I've just found out your blog and I have to tell you, I'm just in LOVE with it. Everything you do is so charming. I've stayed here, looking your items for one and a half our, no stopping! All you do is so dellicated. Congratulations! I'm sorry for my mistakes in english, but my feelings are real. 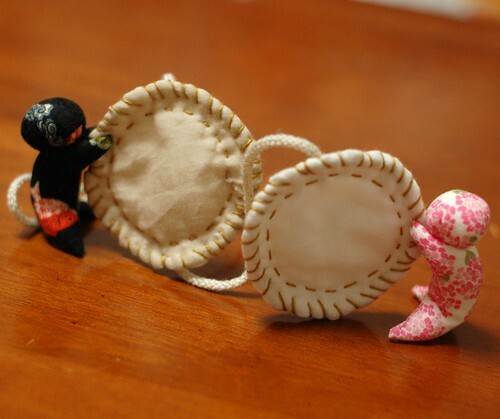 I love japanese culture, so your blog was a gift to me. Thank you very much for sharing so many beautiful things. 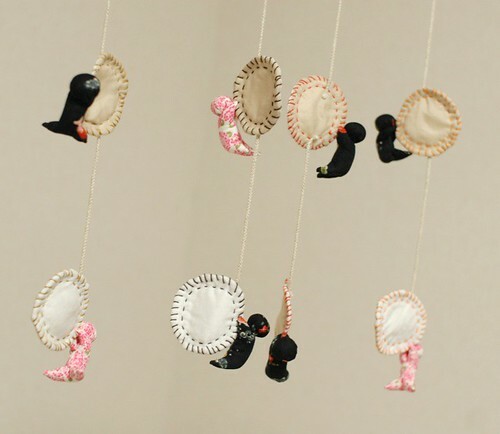 Today I finished more two mobiles. Maybe I'll post it tomorrow. Thank you Valeria for writing a comment in English! I'm really happy to read it. My English has many errors. No problem! 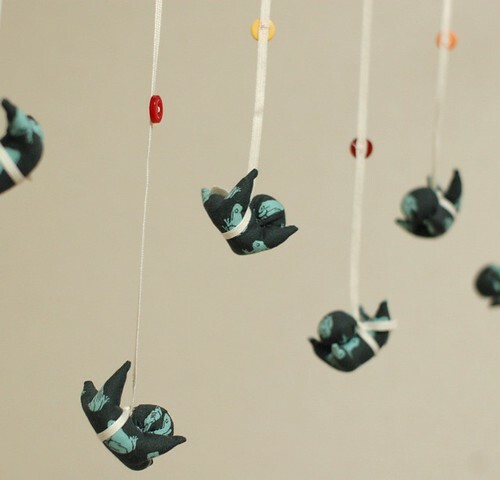 Mai these are gorgeous and adorable! Sadly all I do is collect fabric as I have 2 toddlers keeping me too busy to sew. I am amazed at what you do. Also about the chili beans did you add spices to season? That may be why it was too light. The pattern of the bag is on the book. So you cannot see the bag in the site. Also, you cannot get the pattern through the site. I'm sorry. 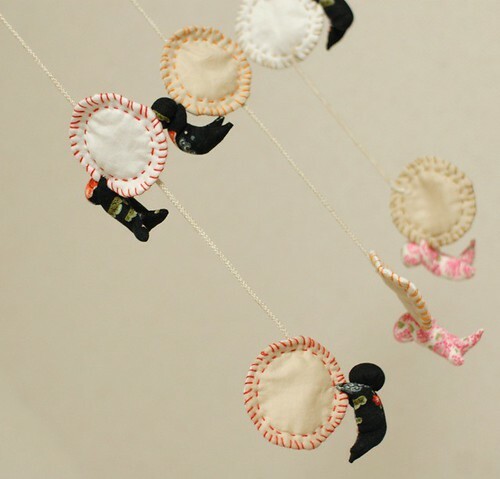 This is such an adorable mobile! I tried making one of the dolls, and I absolutely failed. But I'm going to keep trying! Thanks for the inspiration! what a nice blog you got. where can we get those cute stuffs haa?? In which part, did you feel difficulties? Before you try again, please ask me! If you are interested in my items, please visit my ETSY shop! These are lovely! What a great idea, so unique. Hi, I was wondering, what kind of fabric did you use to make these sarubobos? I tried to make one with felt material from joann fabrics and it was cute and everything and i added my own twist to it but it wasnt quite the same and it was alot larger. i like to make alot of sewn things for my boyfriend as little 'i love you' messages/gifts to remind him that im always thinking of him. I use Japanese cotton fabrics, not so thick. 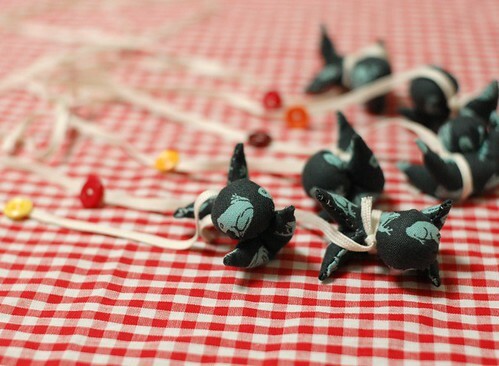 I've never made them with felt or thick fabric, but I think it's hard to make it in the size with thick fabrics.